Custom Rings Are Our Thing! Home » Blog » Custom Rings Are Our Thing! I’ve had the pleasure to work with some phenomenal clients over the past several months to manifest these two rings. 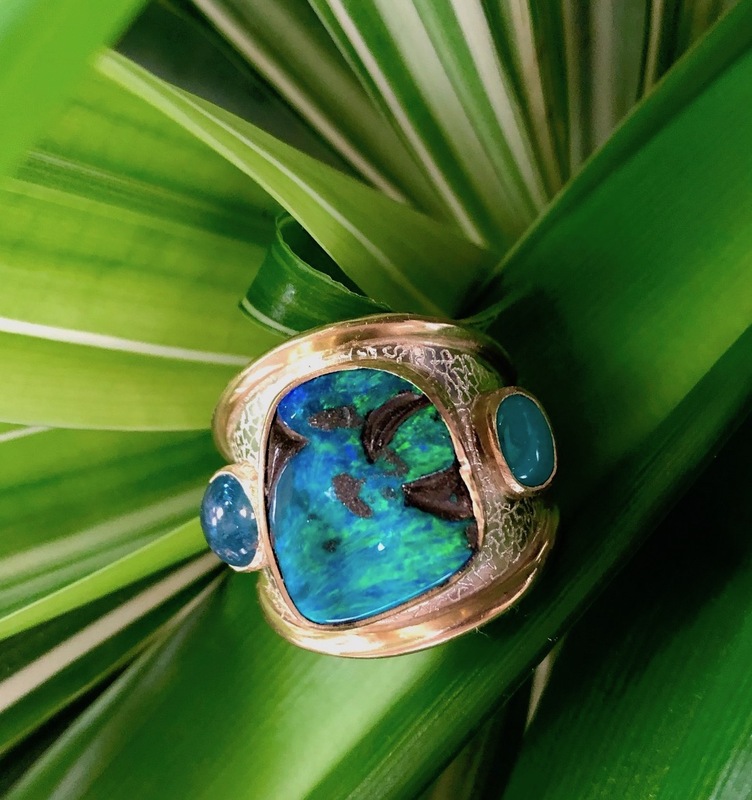 Meticulous selection of the finest colored gems, plus exceptional craftsmanship are the hallmarks of an Elaina Designs piece and these rings are no exception. If you’d like to commission a holiday order, now is the time to contact me. Call or email (678) 662-6156, lp@elainadesigns.com. On Friday, appointments are preferred but not required, please call (678) 662-6156. 2116 Lanes Ln. NE, Atlanta 30317. Hannah is in graduate school and works full time as an Oncology nurse. She wanted a bold index finger ring to both give and receive energy. 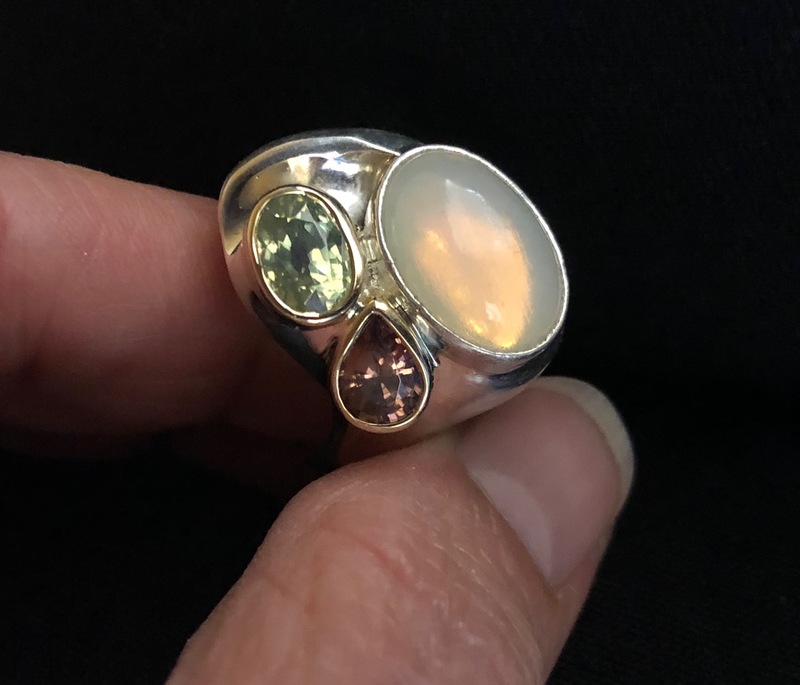 The white Opal was given to her by her father 25 years ago. To pull out its subtle color, she selected green & chocolate zircons with the help of a Gem Resonance session. 14K yellow gold bezel set gems accent the gracefully sculpted sterling ring.